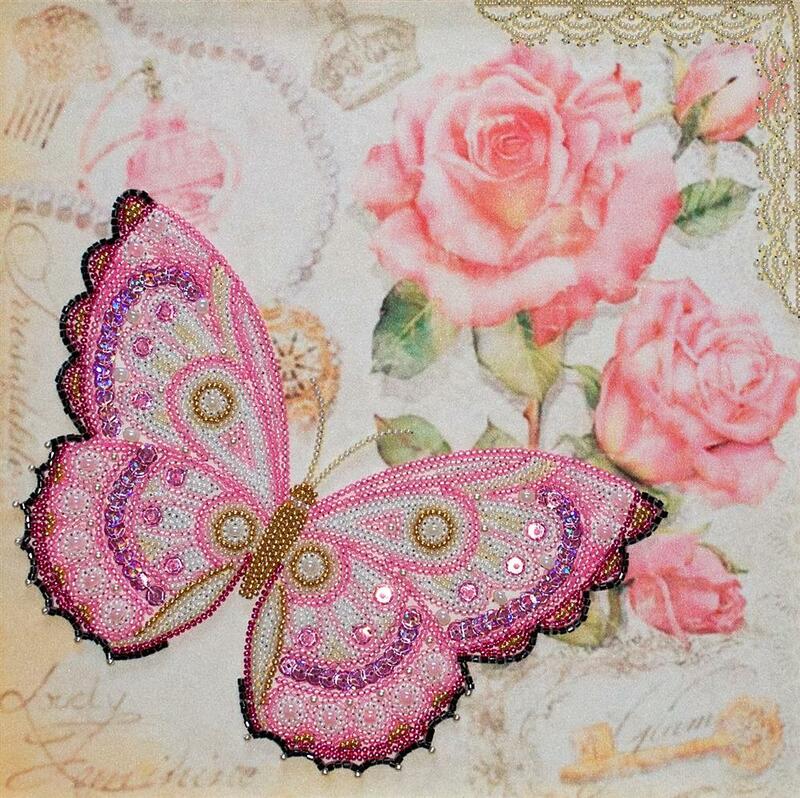 This bead embroidery design from VDV, features a butterfly beside pink roses. Beads are sewn with a single length of thread, simply follow the printed pattern to select the next bead as you stitch a row. The kit contains fabric with printed background and symbols, 43.5 grams of seed beads, 52 grams of special beads, sequins, beading thread, needle and easy instructions.